Over 9.3 crore PAN-Aadhaar linkages were done till early August and nearly 30 crore were done in June and July. The number of linkages is now expected to surge. The Narendra Modi government has decided to extend the deadline to link Aadhaar with Permanent Account Number (PAN) to December 31. Earlier, the last date was August 31. On July 1, the Centre had made it compulsory for all taxpayers to link both the unique identification numbers for filing income tax returns. The decision to extend the deadline to December 31 should cheer the taxpayers as they will now have more time to link their Aadhaar and PAN. December 31 is also the last day to link Aadhaar with bank accounts. The Income Tax Department (I-T) had earlier said that ITR filed will not be processed if the filers fail to link their Aadhaar with PAN on or before August 31. The first deadline to link both the unique identification numbers was on July 31. That was extended till August 31. The extension came after some taxpayers complained that they were not able to log on to the e-filing website of the I-T Department. According to reports, over 9.3 crore PAN-Aadhaar linkages were done till early August and nearly 30 crore were done in June and July. The number of linkages is now expected to surge. Aadhaar is likely to replace PAN and other identification documents in financial markets and all other services to make it more convenient for people. Last month, chief provident fund commissioner VP Joy had said that Provident Fund (PF) account will be transferred automatically if people change their organisation from September. But the employee must have an Aadhaar to get their PF account transferred within three days after joining a new company. Aadhaar is also compulsory to have a PAN. In addition to the extend Aadhaar-PAN deadline linking, the government have also given a month's extension to small businesses and professionals to file returns by September 31. 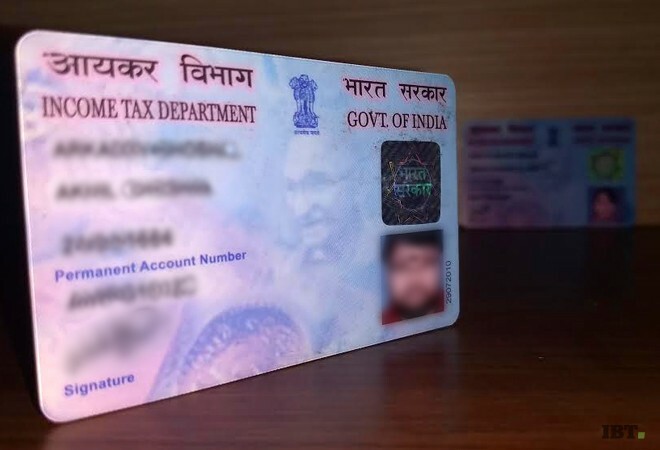 According to the Income Tax Act, every person having PAN as on July 1 and eligible to obtain Aadhaar, must intimate his Aadhaar to the tax authorities. However, non-resident Indians, people above 80 years of age, and the residents of Assam, Meghalaya and Jammu and Kashmir are exempted from the compulsory process of linking Aadhaar with PAN. Stunning images of how the world welcomed the New Year! Circus Krone: The masters who can control the king of the jungle! Gautam Gambhir ko gussa aata hain - why does the Gauti get angry? This 15 Celebrities visited the same rehab center over and over again.